What it means is that when you have a bright smile and a positive attitude, these two things alone can take you a long way through life. People are going to be more open to liking you and accepting you when you have a beautiful, attractive smile. But when your teeth aren’t perfect, it can have the opposite effect. 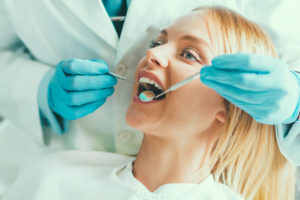 Poor dental health may make you more self-conscious, which in turn can make you less confident, give you poor self-esteem, and make it more difficult for you to be successful. Many people invest a lot of money in their education, professional training, or other means of preparing themselves for a successful life. But investing in improving your smile is another way of paving the way for a happy, productive life. The truth is that today practically anybody can have a great smile with white, straight teeth. Thanks to modern dentistry, you can have the smile of your dreams even if your teeth are currently crooked, stained, or in poor condition. While a lifetime of good oral habits will help keep your teeth strong and productive, all the brushing and flossing in the world won’t make naturally crooked teeth straight, make cracked or chipped teeth whole, or make missing teeth reappear. But the dental professionals at McCosh Family Dentistry can help restore your beautiful smile no matter what condition your teeth currently are in. We can make your teeth white, straight, and perfect regardless of the way they look now. When you have perfect teeth, they can give you more personal self-confidence. And when you have a great smile and a wealth of self-esteem, you set yourself up for success. So you see, your perfect smile really can be your umbrella. Get yours at McCosh Family Dentistry.